Medical Malpractice Litigation for Pets? People spend millions of dollars a year on their pets and a major portion of that is vet bills. A study showed over $15 billion was spent on veterinary bills in 2016. Currently, pet owners spend more than $18 billion a year on pet healthcare. Some people feel their pets are a member of the family, just as a child would be. This seems especially true when the person has no children. Additionally, many studies have been done which point to distinct health benefits pet owners receive from the relationships they have with their pets. There have been important advances in veterinary care and services in recent years which may account for an almost 4 percent increase in pet spending from 2015. Pets have become a large part of American culture and the court system is beginning to realize that. Traditionally, pets have been looked at as property. Recent court decisions have made major changes in that tradition, however. New York, Texas and Maryland courts have make landmark decisions in medical malpractice involving pets and their vets. Divorce court also sees a few pet custody cases. Instead of considering only who bought the pet or took most care of it, judges consider the best needs of the pet, just as they would in a child custody case in family court. There have been more than 25 state judges to manage financial trusts set up in pet’s names. It is clear the laws are changing when it comes to pets. With so much more emphasis on pet’s owners as parents of a sort, the courts are seeing more cases of pet medical malpractice. For instance, a pet owner may admit their dog to a vet for dental surgery, being spayed or neutered, or a broken bone. It is possible for something to go wrong and the animal lose its life in the process. What if the vet was at fault? If there is proof some form of negligence occurred on the vet’s behalf that caused the dog to die, the owner could possibly receive remuneration for not only the cost of the dog and vet services, but also pain and suffering and other nonfinancial claims. Which common healthcare mistakes are behind the majority of medical malpractice lawsuits? 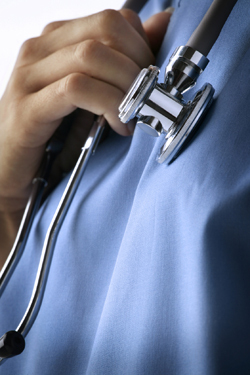 A medical malpractice case can arise from any situation where a patient is harmed. Be that from a doctor, nurse, specialist, or any situation which does not provide proper healthcare treatment. Great care and caution go into making sure healthcare professionals make no mistakes and thankfully, only a small number of cases occur each year. Within that number of cases that occur each year, a few errors show up more often than all the others. One thing people are often misguided about concerning medical malpractice is that just because a mistake was made, or a patient is unhappy with the outcome of a course of treatment does not imply malpractice has occurred. To be a case of medical malpractice, a healthcare professional must have acted below the standard of care. The most frequent medical mistakes that lead to malpractice cases are delayed diagnosis or misdiagnosis, childbirth injuries, medication errors, surgery errors, and anesthesia errors. These types of errors happen over and over in healthcare facilities all over the country. Often, they are preventable. When one of these accidents is caused by a provider’s negligence, they can be sued for medical malpractice. For many people, going to the dentist is something to be dreaded. Maybe it’s the worry over a dentist’s drilling or the general dislike of having someone poke around in your mouth, but most people wouldn’t mind putting off a dentist appointment as long as possible. However, dental care is essential to overall health, and you shouldn’t be skipping out on dentist appointments. Like other doctors, dentists are also subjected to medical malpractice from time to time, and patients should expect the same standard of care from dentists as they would any other doctor or physician. Unfortunately, some dentists do slip up from time to time, as was the case with a root canal operation that went painfully wrong. Back in March 2011, Supriya Sarin went to see her dentist, Darryl Simms, at the Farmington Family Dentistry for a root canal procedure. This procedure is used on teeth that are decaying or are infected, and with a good dentist, they can be saved. During the root canal procedure, a dentist will go into the tooth were the nerve and any pulp may be hiding. After cleaning this out, he or she will thoroughly clean the tooth and then reseal it to try and prevent the infection from happening again. Most people assume this procedure is very painful, but others report it as no more painful than the average tooth filling. The highly publicized medical malpractice case of St. Johns Health Center has finally come to a conclusion. The case involves the elder abuse and general neglect of Ida Waksberg, an 89 year old female patient during a stay in 2009. A 12 man jury, sworn in on August 18, unanimously found no fault in the hospitals care. Many years of languishing in trial finally saw this case to West District Superior Court located in Santa Monica, where it proceeded to conclusion in a two week trial. In the initial complaint, the patient’s son filed a case citing inadequate healthcare for his ailing mother when she was admitted in 2009 for hypertension and chest pains and seeking $1.5 million in damages. The plaintiff, the patient’s son, explained that his mother was admitted on a fairly routine visit complaining of pain and discomfort due to chest pains and hypertension. She was admitted for one day for observation. She suffered a fall the day before her discharge and was required to stay for additional medical attention. During the stay she developed a urinary tract infection. A short time later she developed a fatal staph infection. The staph infection developed into endocarditis, eventually travelling to her spine and developing into osteomyelitis. The plaintiff declared the patients injuries to be a result of the attending nurses negligent care. The hospital claimed all care provided the patient was of the utmost in medical care. With help from nursing and infectious disease experts, the hospital was able to prove they were not negligent. Once deliberation commenced, the jury took only a few hours to reach a verdict.